It’s been funny (and by funny, we mean chilling) to watch this play out. Not very long ago, it would have been unthinkable outside a handful of secretive gay bars that young men pretending to be young women would ever be allowed access to female-only sports. Then, just a few years ago, the idea gained acceptance along with the greater transgender movement. 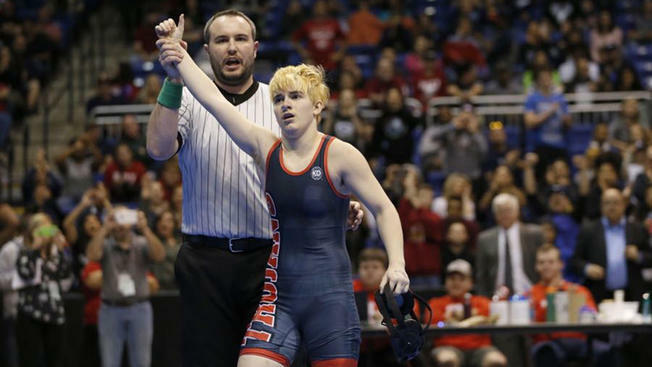 Finally, in the last couple of years, we’ve seen a handful of states take the position that this should indeed be the policy, and we’ve seen the results: Extraordinarily well-muscled “girls” dominating in track & field, wrestling, and any other sport they should choose to compete in. And now, with the cultural tide behind them, the Democrats want to turn this absurd situation into the law of the land. All of the House Democrats but one have put their names to the Equality Act, a piece of legislation that would update the Civil Rights Act to make it so “sexual orientation and gender identity” are protected characteristics under the law. This would make it illegal to discriminate against anyone on the basis of either of these traits, which means that any school that denied a biological boy access to female sports would be setting themselves up for a lawsuit. A lawsuit they would lose. Yes, ladies and gentlemen (or whichever you may identify as today), that is the power of the social justice left. By sheer force of will, they can make it so that biological males have no athletic advantage over females. If you refuse to admit it, it isn’t true! With the exception of “trans-exclusionary radical feminists” or TERFs, the feminist left has fully thrown its weight behind this movement despite what it will mean for their supposed cause. After a half century of fighting for women’s rights, women’s lib, and all the rest, they are now sitting idly by and watching as men decide they have the right to be taken seriously as women. It would be hilarious if it wasn’t so damn disturbing.